Taking your workouts beyond the gym. SilverSneakers FLEX® classes are taught by certified instructors and more than 70 types of classes are included ranging from tai chi to boot camp and yoga. Fitness today isn’t just lifting weights and running on treadmills. Yoga, tai chi, boot camp and other group activities are changing how and where we exercise. SilverSneakers FLEX® embraces that change with classes located outside the gym and in your community. 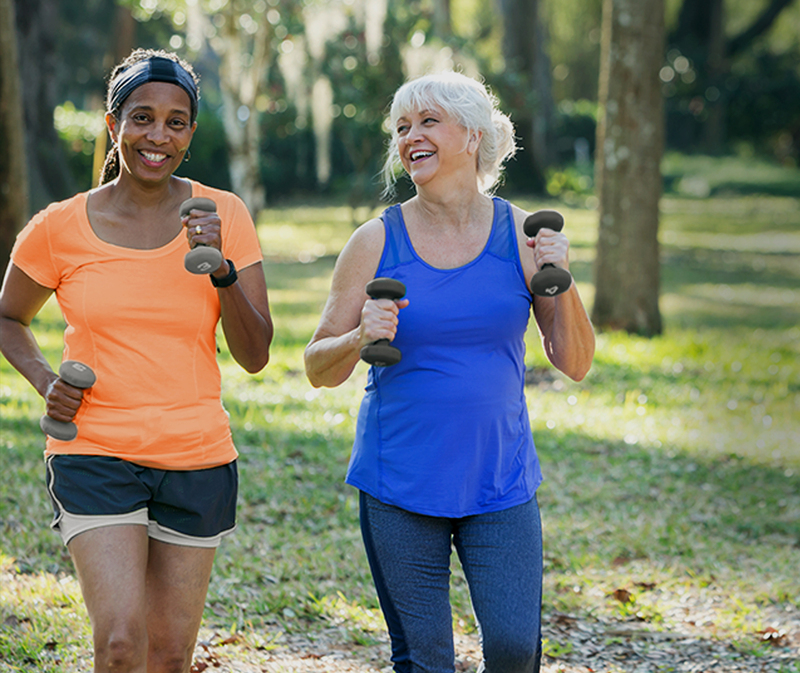 With SilverSneakers, you have unlimited access to all SilverSneakers classes, all FLEX classes and all of the gyms in the SilverSneakers network. With so many options and all the support SilverSneakers provides, you can have your cake and eat it too (then work off the calories). FLEX classes are small, welcoming and led by enthusiastic instructors. Instructors even include their personal contact info in the class locator so students can really get to know them. And of course our FLEX instructors are all certified. My favorite part of SilverSneakers is taking classes. I love working out and dancing to the music with a group of friendly folks! Feeling energetic and healthy keeps me motivated to get up early and go to class. Since I still am employed part time, the early classes are perfect for me. However, I have a choice of facilities for SilverSneakers classes, and can pick mornings, midday or early evenings for various classes. I highly recommend SilverSneakers as the insurance all seniors need to stay healthy and avoid hospital stays and medications!